The central feature of Nomad's is the large, full size multi-purpose playing field. At a playing area of approx. 100m x 65m it is one of the largest fields for sports to be played under lights in the Philippines. This pitch is used throughout the year (day and night) for rugby, soccer, cricket and any other sport event requiring a full size field. The field is home to some of the Philippines major international sporting event such as the Manila 10s rugby, Euro Cup Soccer, Mosman Cup Soccer etc. Even through the driest period, the grass is kept in good condition using its own irrigation system, hence can be played on all year round. Soccer – this remains the most popular of all sports at NSC, thus keeping in line with international trends that Soccer is indeed the fastest growing sport in the world. With a full size field that can be played on day and night, soccer is set to continue to flourish. There is a very good soccer academy at the NSC, supported by several generous sponsors, which enables the development of youth soccer at the club. It's not unusual to visit NSC in the evenings and see many kids and teams training under lights or on the weekends. Likewise, the ladies soccer is proving to be very popular. Rugby - is the second most played sport at Nomads on the field. Like soccer this has growing popularity amongst the younger generation as rugby becomes more recognized throughout the Philippines. The PRFU are doing a great job in promoting rugby at all levels throughout the country and they too have good youth development programmes. 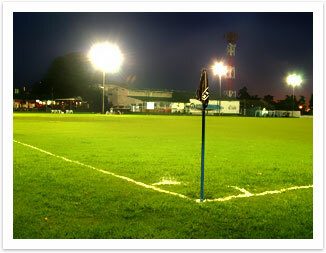 The Nomads Rugby section regularly train at the club under lights and on weekends. There is a ladies touch rugby section that tours and trains bi-weekly at NSC. Cricket – whilst cricket is somewhat seasonal and not as internationally recognized as soccer or rugby, there is still a great following of cricket at NSC. Generally played on the pitch in summer on Sunday mornings to make way for the more popular sports, cricket has several dedicated teams comprising of all walks of life. Any one wanting to bowl a maiden over should head down to NSC on a Sunday morning during the summer months from Nov – July. All new comers welcome. For further information on any of the sports, please refer to the area sections located within this site. Since the sections debut at international level, lawn bowling has found increasing popularity among all members. The bowls group is well regarded as having some of the best bowlers in the region. Competing nationally and internationally. Like the main pitch, the lawn bowls area has lighting installed around the greens which allows for games to be played in the cool of the evenings. The manicured greens are approx 30mtr x 20mtr and allow for up to 6 ends to be played at any one time. The bowls section remains popular for both genders of all ages and even has its own bar to cater for the thirsty bowlers. Nomad's has two sand based tennis courts, both of which have lighting to allow play in the evenings. Tennis is one of the more popular individual sports at NSC. Training and development of tennis can be coordinated with the section head of tennis. Nomad's boasts a half-Olympic swimming pool for both the serious or recreational swimmer. Around the pool are shaded tables to provide a pleasant setting to enjoy a meal from the kitchen and time with the kids. There is a kids pool located adjacent the main pool and shower and ablution blocks.